YouTube had to pull the trailer because of the jump scare at the end, so consider yourself warned! Nuns, they can be scary when they’re not evil! Rapping knuckles, washing mouths out with soap, the outfits and the stern looks are nightmare fuel for millions of Catholic schoolchildren. But when they’re creepy, that’s a whole different level of scary nun. The Nun is the latest film in the series that began with The Conjuring in 2013. Who would have thought that Ed and Lorraine Warren would get their own cinematic universe? This new movie fleshes out the terrifying sister that was stalking Lorraine in the second film starting at the house from The Amityville Horror and haunting them all the way to England. While the new film The Nun is entirely fictional, the did base the evil nun demon’s name, Valak, on a real source and it’s origins go all the way back to the Old Testament. King Solomon was the son of David, the guy who beat the giant Goliath with a slingshot and eventually became King of Israel and the star on the Israeli flag is named after him. If King David existed, scholars place him somewhere around 1000 BC. His son, Solomon became king as well, and is famous for being super wise. He’s the one where two women came to him with a baby saying that they both were the real mother and asked him to choose one to be. He said that they should cut the baby in half and split it, and then when one of the women recoiled in horror, he said she was the true mother because she cared the most. I dunno that it would hold up in court today (well, I guess OJ’s acting skills were pretty handy with that glove) but the Judgement of Solomon story is one of his best known acts. 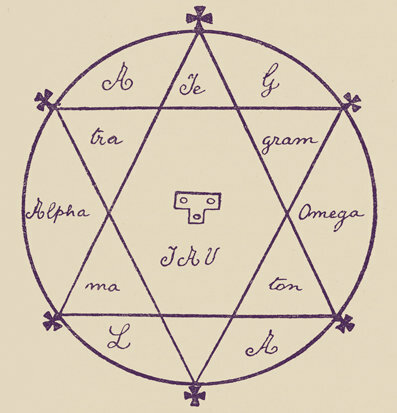 The Seal of Solomon – the symbol that is supposed to help give you power over demons. That is metal AF. The other great act he is known for is building the first temple of Jerusalem, the one that took 7 years to build and housed the Ark of the Covenant from Raiders of the Lost Ark. That’s straight from the Bible, but where the fun stuff comes in is the Testament of Solomon, a work that was written in Greek sometime between the 1st and 5th Centuries. In that book, Solomon is given a ring by God with a magic seal that can enslave demons and make them work for you. He uses the ring to put 72 demons to work for him in building that great temple. Now, in the original Greek, the word “daemon” doesn’t necessarily mean evil, it just means any supernatural being. But in Medieval times, Jewish, Muslim, and Christian occultists took the concept and ran with it. They retconned Solomon from a wise king into a wizard and believed that you could conjure them yourself to try and make them work for you. And these Medieval occultists (and not so medieval, Aleister Crowley spent some time with the Keys of Solomon as well) didn’t think they were doing the Devil’s bidding. In fact, you use the name of God and Jesus to get the demon to work for you. They didn’t think of it as an un-Christian act at all to try and magically conjure demons to get their help. Try telling that to a fundamentalist today! The book The Lesser Key of Solomon was compiled in the Seventeenth Century from a variety of earlier sources and is a grimoire (book of magic spells) that names all of the demons that were enslaved and put to work by the Great Solomon. 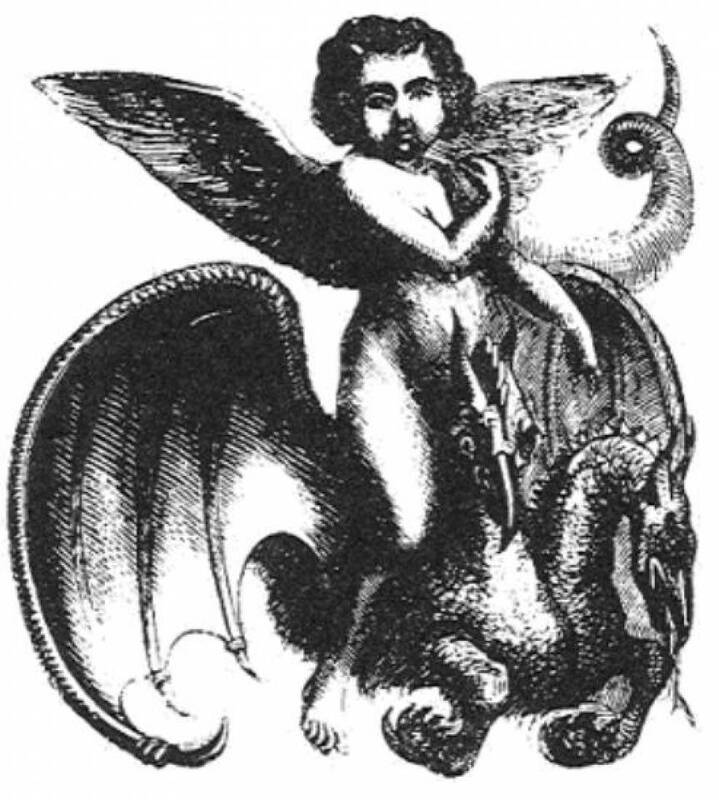 The 62nd demon on the list is Valak, who looks like a beautiful cherub riding around on a two-headed dragon and his specialty is finding lost treasures. He’s the demon that you want to conjure when you want to go dowsing. He also can help you find snakes, which sounds like a fun field trip. So, is he an evil nun? Nope. They just used the name because it had a cool origin and they were looking for some kind of narrative device to tie the characters of the Warrens to The Amityville Horror and the Enfield Poltergeist (and their connections to both of those cases were tenuous at best in real life as well.) So ancient Solomonic demons it is! However, The Nun director Corin Hardy did have his own ghost experience on the set of the film. While the YouTube video says it’s crazy, it’s actually kind of believable. They shot parts of the film in an old Romanian fortress called Corvin Castle, it’s actually in Transylvania, and tourists are told that the Vlad the Impaler was imprisoned there for seven years (but they’re not quite sure if that’s true or not.) Either way, it’s been investigated by Most Haunted as well as the bro-st hunters themselves, Ghost Adventures. So, it’s no surprise that this is the place Corin Hardy would have had his story. The sequence was called the “Corridor of Crosses”, a 200-foot long corridor… deep, dark, dank, dripping wet and to get to it you go down into it like a T-Junction. it was literally a door to a corridor to a pitch black room. There was crew, but the only light down there is the light we bring, very moody and atmospheric. There’s crosses hanging all through it, ya know, and there’s a lot of mist. There’s a mixture of what we’ve brought but it’s also all based in reality. When I go into the room I see these two guys from the crew, probably sound department sitting a little further back in the dark. I said hi and I think they must be Romanian, because we have crew members from different countries that don’t always speak (the language). I was focused on the film and turn my back, and sat with my back to these two guys. I’m watching the monitors and we were running the takes and it was complex shot with the camera, we had to spiral and track and it took awhile. Half an hour later I’ve been sitting in this darkness with these two guys there and I finally got the shot. You know when you do get the take, you get up and go “Oh, $%^&ing great!”, ya know? And I got up and I turn to the two men, “Oh, did you see that?” And then I turned around and there was just no one in the room and there hadn’t been anyone in there at all. There’s no where they could have come out. I’m sitting here, the room is behind me, and the door just here (points in front of him) and I seen them on the way in and felt that they were there the whole time. However, Solomon ties another evil nun story together from the mid 1600s. A whole convent of nuns was supposedly possessed by demons and the featured public exorcisms with hundreds of people in the audience. It was claimed that the nuns were perverted by Father Urban Grandier, who made a pact with the Devil for the power to take sexual advantage of the nuns. One of the pieces of evidence that was eventually presented at his trial was the pact Grandier made with the devil, that was stolen from the Devil’s collection of contracts and delivered to the court by the demon Asmodeus, number thirty-two in The Lesser Key of Solomon, and famously tricked by the king into helping build that First Temple of Jerusalem. 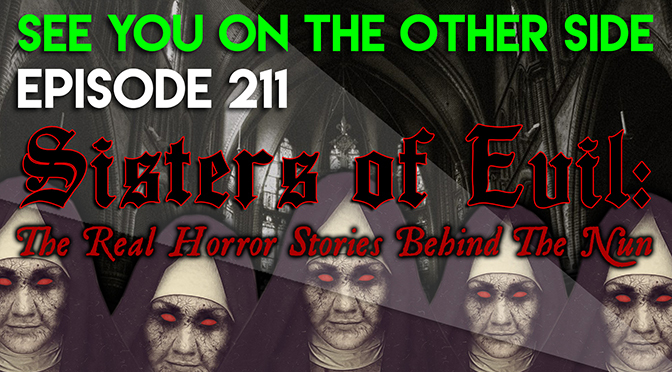 One of the nuns claimed to be possessed directly by him, because he was often associated in Christian theology as the demon who represents human lust. And that’s exactly what they were accusing Father Grandier of. He was eventually burned at the stake and his story was told in Aldous Huxley’s book, The Devils of Loudon, that was made into a scandalous (for the early 70s film, The Devils). 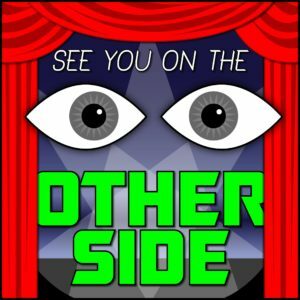 For this week’s song, we were inspired by those badass grimoires from the Middle Ages. Naming demons isn’t just for Dungeons & Dragons everybody, people believed in this stuff. But when you conjure demons baby, you play with fire! the sweet revenge of Asmodeus.